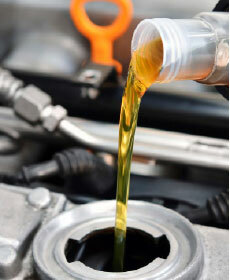 Get your oil and filter changed and a multi-point inspection for just $45.95 - $59.95 + tax. *Up to 5 quarts of premium oil included. Additional charges apply for additional oil. Synthetic Oil $59.95. Please present coupon at time of write up. Plus tax and shop supplies. Not valid with any other offer, advertised special, or prior purchase. Some restrictions may apply.